It was with deep sadness I learnt about the death of Anthony Foley when watching the Bordeaux vs Ulster match on Sunday afternoon. In truth, I never got to fully appreciate the genius that was Axel due to my age, however the stories of the man needless to say give an impression only one can admire. It is so difficult to see a former player and a coach with so many years ahead of him pass away at such a young age, a man who wanted the best for his province and no doubt wanted to lead them to glory again such as he had done in his playing days. The poignant tribute from the Munster fans this weekend singing the Fields of Athentry epitomises the true spirit of the province and of Irish Rugby in general. No doubt over the next few weeks, we will see many wonderful stories about Anthony and the joy he brought to so many within our game. He will be sorely missed not just by those in Munster and Ireland, but by the rugby family in general. Harlequins started their Challenge Cup campaign on Thursday night with a comfortable win over Stade Français at The Stoop. An error strewn first half performance from the Top 14 side saw Quins secure an easy try scoring bonus point before half time. Despite a poor record whilst on the road in the Premiership this season, Harlequins have been exceptional at home and carried their form into European competition as both Tim Visser and Luke Chisholm grabbed a brace as well as scores from Joe Marler, Joe Marchant and Marland Yarde all made sure that the French outfit would not wrestle victory from their grip despite tries from Sekou Macalou, Clément Daguin and Willem Alberts. With a 31-7 differential at half time, there was never any danger that the English side would be at risk as Harlequins started their continental record for the season with a victory of emphatic fashion. Glasgow Warriors produced the first Champions Cup upset of the season as the premier outlet of European competition got underway at Scotstoun. Richard Cockerill’s side were outsmarted from start to finish at the former PRO12 champions as Italian international Leonard Sarto grabbed two tries in addition to scores from Fraser Brown, Henry Pyrgos and Mark Bennett. Finn Russell was also on hand to add the extras as the two-time European could only muster a single try through Brendon O’Connor. Owen Williams hit a few successful kicks but it was a very sore night over the border for the Tigers as they were subject to a comprehensive mauling from future Scotland coach Gregor Townsend’s men. Newcastle suffered a Challenge Cup embarrassment in Swansea as they were nilled by the Ospreys at the Liberty Stadium. The away side who had made many changes to their starting fifteen from the previous week following a Premiership win over bottom of the table Bristol, were outclassed from the first whistle as household names Dan Biggar, Justin Tipuric and Rhys Webb both got on the score sheet. Ashley Beck and Scott Baldwin also crossed the whitewash as well as two tries from Keelan Giles as Biggar kept the scoreboard ticking over via the kicking tee. It was a bad day at the office for the Falcons who’s fans on social media were understandably frustrated, claiming the team never take the Challenge Cup seriously and that putting out a squad with many development players against a Ospreys side that included Welsh internationals was always going to spell trouble. Bristol still remain winless in all competitions this season after falling to Cardiff Blues in a local derby in the Challenge Cup. Bizarrely, Cardiff’s football team also beat Bristol City on the same evening rounding off a miserable end to the week for fans on the English side of the Clifton Suspension Bridge. Welsh wing Alex Cuthbert was among the scorers as Reynold Lee-Lo, Josh Turnbull and Tom James secured victory for the Blues at Ashton Gate. Max Crumpton and Joe Joyce got a try scoring mark for their European record, but Andy Robinson’s team are still seeking that first elusive win since the first leg of the RFU Championshp final in May. Wasps eased to the biggest ever Champions Cup win after a twelve try demolition of Italian minnows Zebre at the Ricoh Arena. The home side who have been tipped for Premiership glory for the first time since their move from High Wycombe started in superb fashion, and had raced into a 42-14 lead at half time, securing the bonus point with consummate ease. Danny Cipriani pulled the strings as Rob Miller and Joe Simpson grabbed two tries apiece including five pointers from Elliot Daly, Joe Launchbury, Josh Bassett, James Gaskell, Dan Robson, Ashley Johnson, Frank Halai and Jake Cooper-Wooley. The PRO12 side provided little resistance despite two first half scores from Federico Ruzza. It was an embarrassing afternoon for team from Parma as many ex professional players on Twitter questioned just why a team that has finished bottom of the PRO12 for the last three consecutive seasons should be gifted an automatic qualifying spot in Europe’s elite rugby competition. But it was back to winning ways for Wasps who won’t have to worry about points differentials should they need it come the end of the first round. Saracens became the first side ever to beat RC Toulon at the Stade Felix-Mayol in the best encounter of the weekend in the south of France. A brilliant first half performance saw the Premiership champions race into an early 25-6 lead thanks to Sean Maitland, Chris Wyles and Richard Wigglesworth. The traditional throwing of newspapers in the air by Toulon fans was exercised but it was in angst as the three-time European Cup winners felt their impressive record slipping away. A feisty second half that saw a binning for Maro Itoje sparked into life when Levan Chilachava and Bryan Habana both scored but the boot of Owen Farrell led Mark McCall’s team to a famous win and started their European season with a big win. Scarlets inflicted another PRO12 scalp against Premiership opposition in Europe over the weekend as they got an important four points over Sale in the Champions Cup at the Parc y Scarlets. The ever present DTH van der Merwe got on the scoresheet twice as well as Gareth Davies as three tries from the Welsh side was enough to see them over the line along with a good kicking performance from former Cardiff Blues man Rhys Patchell. Neil Briggs got the Sharks only try of the match as Dan Mugford knocked over two penalties, but Sale never looked in it as they were deservedly beaten in a game that whilst it may have not been two rugby goliaths, it will certainly have great impact over the course of Pool 3. Stephen Myler saved the blushes of Northampton once again this season as they avoided what would have been another embarrassing home defeat at Franklins Gardens. It’s a big win in Pool 4 of the Champions Cup in a group that also included former champs Leinster and Top 14 opposition Castres. Montpellier should have won it after leading in the last ten minutes thanks to Francois Steyn who had also got Les Cistes’s only try of the match. Saints only got a single try themselves via Calum Clark as it was Myler who kept the home side in touch. Harry Mallinder had an earlier chance to win it, but the DoR’s son was unable to take the chance, but it hardly mattered after the last gasp Myler effort gave Northampton the spoils. Gloucester put their Premiership woes behind them with an excellent win over Bayonne at Stade Jean Dauger. The Cherry and Whites held only a nine-point lead at half time but raced away in the second half to finish as very deserved winners. Mark Atkinson scored twice as England win Jonny May also touched down on his return. Matt Scott and Tom Savage added tries with Billy Twelvetrees also on the list of scorers as David Humphrey’s side gave Gloucester fans something to smile about. However, Aviron were no pushover, tries from Simon Labouyrie and Dion Oulai ensured they stayed in touch. But it was simply nowhere near enough as Gloucester got off to the perfect start in the Challenge Cup in what is a very winnable pool. Worcester were frozen out in their opening Challenge Cup tie after they suffered defeat to Enisei in Siberia. Enisei who had caused two upsets last season including a win over the Newcastle Falcons seemingly are finding their feet in European competition, leading 10-7 at half time after a try from Davit Kacharava. Matty Williams and Josh Adams both got tries, the latter of which an academy graduate, but the boot was to be the Warriors downfall as Yury Kushnarev’s penalties and a drop goal from Ramel Gaisin meant another famous win for the side from Krasnoyark at Avangard. Bath narrowly beat Pau with an uncomfortable scoreline in the Challenge Cup despite a star studded line up in France. Rhys Priestland was the star man for Todd Blackadder’s side converting Semesa Rokodugini’s try and clinically sending six penalties through the sticks as the away side held on for an important win. Pau however had no case of white line fever as they went over three times through Romain Buros, Sean Dougall and Watisoni Votu to clinch a deserved losing bonus point at the Stade de Hemeau. It’s a big result for Bath in a very domestically orientated pool that also contains both the Cardiff Blues and Bristol. Exeter failed to produce the heroics of last season in the Champions Cup after they were blown away by a superb performance at Sandy Park. Clermont excelled from start to finish and the home side knew they were already beat, 21-3 down at half time. Wesley Fofana was awarded the man of the match accolade for a sparkling performance that saw him touchdown twice. Scores from Nick Abendanon, Julien Bardy and Noa Nakaitaci made sure that Les Jaunards would get a try scoring bonus point. The Chiefs did work a late try through Sam Hill in the dying embers, but it was scant consolation after being hammered on their own patch. Wasps – Fair enough, Wasps opposition this weekend was easily the weakest in the Champions Cup, but it was still an impressive feat to see them score a mammoth twelve tries. Needless to say the all-star line up is starting to fire on maximum output. Potential tips for the tournament along with Saracens. 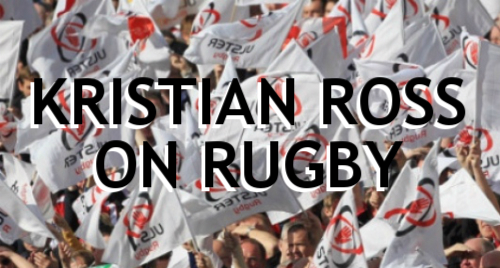 Saracens – No question why Saracens wouldn’t make the winners column this week. Nothing short of outstanding this weekend after a historic win in France against RC Toulon. It once again confirms that Saracens are the best club rugby side in Europe at this time. Should they also win all their home matches in their pool, they will be shoe ins to qualify and grab that home quarter final spot. Northampton – The final spot in the winner’s column could have gone to Gloucester but Northampton pinch it after a turbulent few weeks in the Midlands. They so easily could have lost to Montpellier on Saturday, but kept plugging away until the end. Fan reaction at The Gardens was priceless. And perhaps even a turning point and the result they need to kick start their season. Newcastle – Newcastle were nothing short of dreadful against Ospreys on Friday night, but the real question is who to blame. Fans were discussing that it was down to team selection and it isn’t hard to disagree. Utterly out of their depth and never likely to get a result against that Ospreys side. The Falcons fans at Kingston Park never have much to smile about and no doubt a cup success would do wonders for morale. But as previously mentioned, the management just don’t seem to take it seriously enough. Worcester – No shame to losing to Enisei these days, they’ve already proven their Champions Cup pedigree, but the Warriors would have looked to have done better in Russia. It also now means every single fixture in the pool has added pressure on it and that the chances of making the quarter finals are now slightly slimmer. Leicester – Not often you’ll find Leicester in the loser’s column, but the Tigers were well and truly beaten in Glasgow this weekend. A delightful performance by Gregor Townsend’s men gives the Warriors are perfect platform in the Champions Cup. A precarious position now too for Leicester, any slip up against Racing or Munster will be curtains, and even then should they end up around a decent point mark, conceding forty-two may pip them to the proverbial post. @Kristian7Ross - 22, Geordie, part time journalist and Irish Rugby fan.